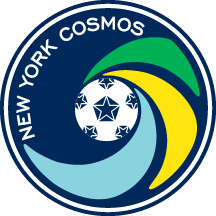 NEW YORK (January 28, 2016) – The New York Cosmos announced today the signing of midfielder Juan Arango. As per club policy, terms of the deal were not disclosed. Venezuela’s all-time leader in appearances (127) and goals (23), Arango last featured for Mexican first division club Xolos de Tijuana, where he scored 11 times in 45 matches from 2014-15. Prior to Xolos he spent 10 productive seasons in Europe, split between La Liga’s RCD Mallorca (2004-09) and the Bundesliga’s Borussia Mönchengladbach (2009-14). Arango, 35, was born in Maracay, Venezuela and turned pro at age 16 with Nueva Cádiz, a first division team in his home country. Soon after he moved to Mexico, where he suited up for Monterrey, Pachuca and Puebla before settling in Spain at Mallorca. With Arango as captain, the Venezuelan national team placed fourth in Copa América 2011, its highest finish in the storied continental tournament. Arango has represented his country in six editions of the competition.